It's a Bank Holiday here in Northern Ireland today - not a Public Holiday though so v confusing! Some schools & work-places are off and others not. But our kids were on holiday so we took a trip to the seaside at Crawfordsburn and Bangor for a day out of rock pool searching, cycling and ice-cream. Today I wore my new sparkly jumper/tunic, sent to me by Room 31 fashion. I came across this website via Twitter and Facebook and have ordered a few tops and knits from them at great prices. 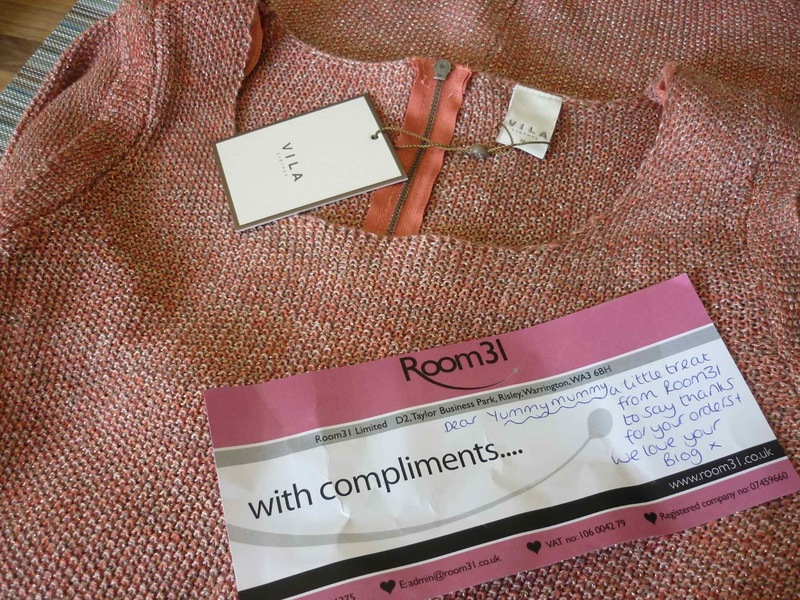 What a lovely surprise to find this beautiful Vila knit in my last order. The photos don't do it justice - the colour is a mix of peach & stone with gold thread running through it..perfect for my colouring! The mary janes I'm wearing today are one of the most comfortable pairs of shoes I own and they look great with skinny jeans. 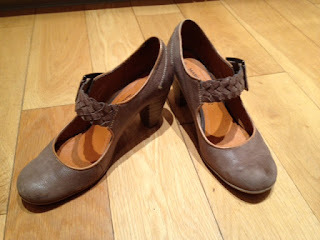 I got them in a local shoe shop last year but cannot find them online anywhere, nor can I find a reasonably priced alternative. The closest I can find are the Clarks ones on this link. Sorry! 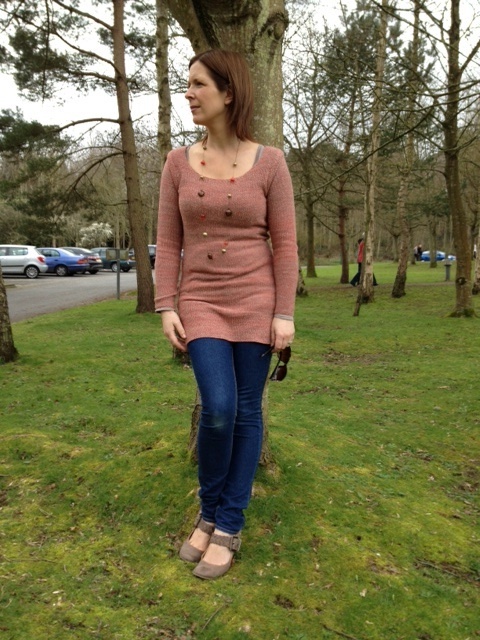 My necklace was bought for me by my 7 year old at Christmas and it just happens to match this jumper perfectly. He was so pleased that I was wearing it today. 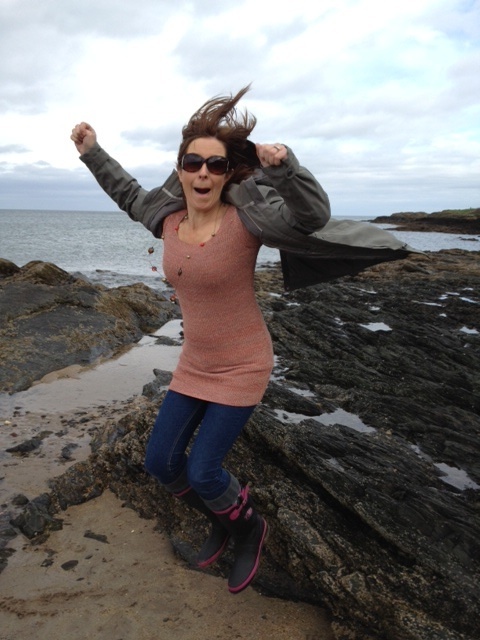 Switched to the wellies & the Merrell Wakefield for the beach walk - and some action photography! My Warehouse scarf competition winner will be announced tomorrow along with a new competition to run for the next two weeks. Make sure you don't miss it by following my blog on Bloglovin' (click the icon at the top of the page), signing up for my email (again, at the top of the page) or liking the Facebook page. Amazing, I used to buy a lot of Villa, but have found it hard to track down recently, brilliant to find a new stockist!